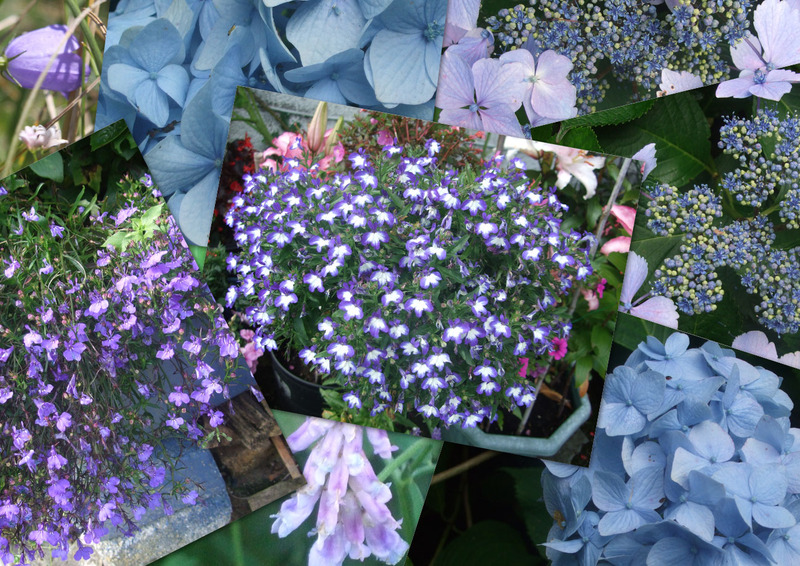 Here's a collage of all the beautiful blue flowers I could find to photograph this month - to celebrate the fact that August 2012 is a month with a blue moon in it. And that blue moon is today. In England, 31 August is the day of the full moon and there was also a full moon on August 2. Most months only have one full moon, and most years have 12 full moons, one each month. Sometimes, however, a year has 13 full moons in it - and the thirteenth moon is a blue moon. Now, there is some disagreement as to which of the 13 moons is the blue moon. Some say it is the fourth moon in a season, others say it is the moon closest to Lent, but many people nowadays say a blue moon is the second full moon in a calendar month. 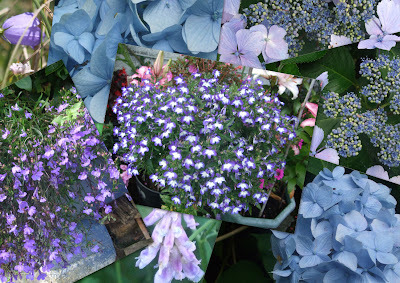 The saying, "Once in a blue moon" means a rare event, so a blue moon is always good for spells and magic that are a little out of the ordinary. Is there something you've always desired but thought was unobtainable? If so, wish for it tonight and your dream might come true.